With more than 160 million visitors each month, Zillow is the largest real estate website and source to reach potential leads. Zillow helps you list your home for sale by owner, giving you unparalleled exposure and helping you save on agent commission fees. While listing your house for sale by owner has its perks, it can also be a time-consuming process that some homeowners are not yet ready for. If you decide that you would like to hire an agent, Zillow can help you find one that suits your needs in your area through their Agent Finder feature. Check out their agent profile, reviews, recent sales and other important information before making the decision. Here is how to list a house on Zillow in five steps. The first thing you need to do when listing a house on Zillow is to create an account and claim your home. Claiming your home is simply confirming on the platform that you are the homeowner, which gives you access to a dashboard containing features you can use. If you have an existing Zillow account, log in. If you do not have an existing Zillow account, you will need to join the platform. On the home screen, be sure to navigate to the top right-hand corner and click “Join” to begin the process. Once you have an account, Zillow will ask you to “claim your home,” which is their way of confirming that you are indeed the property owner. To have access to the owner platform that is available through Zillow, you will first have to verify that the property is yours. The owner platform will not only provide you with some interesting tools and statistics, but give you the ability to list your home for sale. You have a few ways of claiming your home once you are logged into Zillow. Both of these options will bring you to this page, where you should type in your home address. The third option to verify ownership of your home comes directly from typing in your home address. Often when properties have been sold a number of times, the automatically uploaded information that is present on Zillow about your home, such as square footage, is not accurate. The owner dashboard will allow you to edit any misinformation about the property as well as supply other features that will be useful as you market your home. When you first log into your owner dashboard, you are given an opportunity to “Edit Facts” about your home. This is very basic information, such as how many bedrooms and baths, and is not as extensive as the information you will need to give later when listing your home for sale. Here is my owner dashboard as an example. On my owner dashboard above, you will see the prompt to begin the editing process, list the home, or select more options. 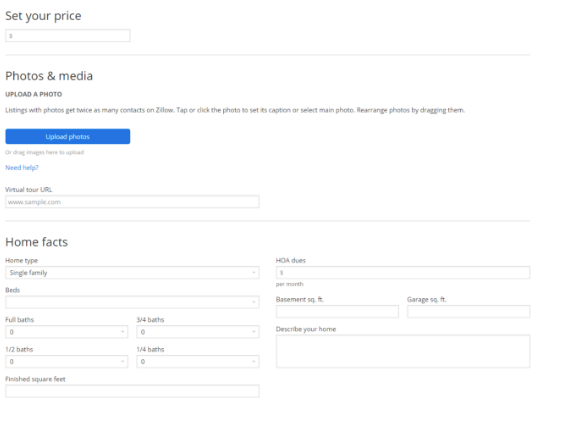 With the “More” menu, you are given the option to add photos, share the home, edit location, or release your ownership claim after sale. Zillow examines the current market conditions for your home based on their search volume in your area. Before you list your home, you may want to look at the “Selling This Home” feature first for the optimum time to sell it. Zillow’s “Selling This Home” feature lets you know what type of interest you could expect if you posted your home for sale today by showing you what kind of search traffic you could expect, as well as which month tends to be the most advantageous in getting the best possible price. This feature is available without clicking any additional buttons, but by simply scrolling further down the screen. Here is a photo from my owner dashboard. One of the most important things to get right when listing your home on Zillow is setting the right sale price. The automatic estimate that Zillow gives you on your home is called a Zestimate, and they are known for being inaccurate compared to actual home values. You have a few avenues to ensure that the price of your home is on target and will sell well. You have two options when it comes to pricing your home. Using Zillow, you can find comparable homes that have recently sold to begin the process of determining your own home’s value. Some homeowners feel they can ballpark the value of their own home by looking at what has sold in the neighborhood recently or simply looking at the Zestimate number. While this might sometimes work, it is not a strategy we recommend due to the well-known inaccuracies of Zestimates. Feel free to read more about determining fair market value and how this process is typically done. When getting a third-party determination of your home’s value, you can hire a home appraiser or use more advanced web-based tools to help you determine this pricing element. Hiring a home appraiser is often well worth the money you’ll spend. Banks trust them to approve mortgage amounts, and they are certified professionals. For approximately $300 to $500, their expertise in determining property value is likely the most accurate assessment you can have if you want to price your home accurately. If you want to further save money, and not hire this task out, there are also tools you can use that are less expensive. One of the most accurate products in the market today is called HouseCanary, which reports an estimated error rate of only 0 percent to 3.6 percent. HouseCanary reports that they use all the available data in an advanced algorithm to estimate the most likely value your home would be sold at. HouseCanary also has a free trial so that you can try it out and see if you like their product. While many people understand the mechanics of how to list a house on Zillow, it is the details, such as solid photos and videos, that help gain interest and sell the home. When you list your home for sale by owner, here are some important elements to consider in your real estate photography. Most people who sell their home by owner are not going to be hiring a professional photographer, but something you can do inexpensively is to enhance the photos you take. One way to do this is through a service like BoxBrownie, which can edit your image for you and has a turnaround time of 24 hours for only $1.60 per photo. Just look at the difference below. It can be worth it to enhance at least a few photos that will catch the eye of anyone browsing on Zillow once your listing is up. Be sure to select a “golden hour” for photography to take the photos you need and have some enhanced prior to putting your listing up. The golden hour is known to be the hour before sunrise or the hour before sunset. It is ideal to have images ready to upload when you create your listing. If you want some more tips that real estate agents themselves use when creating listings, see our guide to the top 27 real estate photography tips and mistakes to avoid. While not necessary for every home, something people love to click on when searching is a video walk-through. If you are doing this yourself with a smartphone, get rid of the shakiness in one of two ways. Hyperlapse is a free app by Microsoft that stabilizes video. With over 1,600 reviews and an average rating of 4.3 stars, Hyperlapse lives up to the hype. Hyperlapse is offered on mobile devices that support Windows, so if yours does not, you will have to turn to other options. 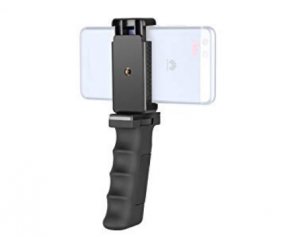 Purchasing a handheld stabilizer such as this one by Neewer costs approximately $10 and can make your walk-through videos far easier to watch. Overall, it is far better to include no video at all than one that will be so shaky that it bounces the potential buyer from your listing entirely. If you are going to include a video, be sure that you review the video before posting it, and use some video stabilizing apps or tools if necessary. You now have the resources and information to complete your home listing on Zillow. Be sure to think about the benefits of living in your home and in your neighborhood, gather all of the information you can on your home assets, and be ready to fill out some detailed information for potential buyers. At this point, you will get to the “Home Facts” section, which you want to pay particular attention to. Potential buyers will be looking at this section meticulously to see what features and benefits your home offers, so be sure to fill it out entirely, truthfully, and to the best of your knowledge. The description should be thoughtfully constructed and highlight the benefits of living in your home. This is the area where potential homebuyers see what makes your home unique as opposed to others in the market in the same price range. Talk about your home in a way that will make others excited to see it. You want this section to be positive and filled with amenities that make the house you are selling look like a great find. Now that you have basic home details in place, you can set an open house date. One thing to note is that Zillow prioritizes homes with upcoming open houses in searches for your neighborhood, so be sure to always list your open houses as you intend to hold them and put it on Zillow at least a few days in advance of the date. The Room Details section is a very in-depth area that asks you to fill in appliances, basement details, heating type, floor coverings, exterior features, architectural style, any views (e.g., water, mountain, park) and the specifics of your home. Be sure to fill these in as completely as possible to help potential homebuyers make a decision. The Room Details section also includes a brief area for you to write “What I Love About This House,” which can provide a very personal element and which you should take advantage of. What you love is far more than just listing what is wonderful about the house; it is creating a mood for a possible homebuyer looking in your area. After everything has been filled out on your listing, the final step is filling in your contact information. Be sure to have information where you can be reached if a potential homebuyer is interested in your listing. At this point, your listing is now complete and you are ready to hit the button and post it! Note that once you hit the button, you cannot edit your listing in any way until publication and that your post will not be published immediately. All “for sale by owner” listings go through a verification process by the Zillow team, and it can take up to 72 hours to go live. Now that you know how to list a house on Zillow, here are four other things that will help make your sale successful. If you are hosting an open house, be sure that you have a few signs and that you make an effort to give people something to take home with them that includes photos and information about your home. A company that can meet both of these needs is VistaPrint. 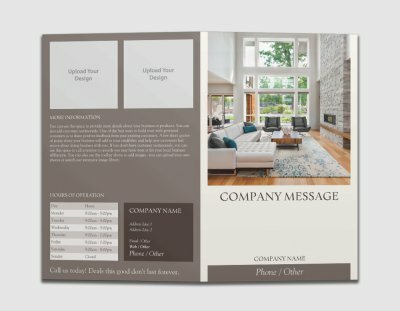 You can have a sign customized for about $14, and for $20, you can have 25 color brochures made about your home that a potential buyer can take away. It’s important to recognize that people are often looking at multiple homes during an open house afternoon, so you want to be sure to have a flyer or pamphlet created to give them something to remember your home by. If you need any further information about hosting your own open house, here are 37 real estate open house ideas people love. Be sure that all the paperwork is done correctly so that you don’t have hang-ups or legal issues. Hiring an attorney will take care of all your upcoming paperwork at a fraction of the price of a seller’s commission. A real estate attorney who completes your paperwork will likely run $700 to $1,500. One place to look for real estate attorneys is LegalZoom. Legal Zoom allows you to search nationwide for real estate attorneys and examine their customer ratings to find the right fit for you. If your future buyer is using a real estate agent to buy their next home, they may miss your home entirely if it’s not on the MLS. Agents are scanning the MLS to look for new homes to hit the market and often are not looking on Zillow, where many consumers do. If you want your home to gain more traction, feel free to post it on the MLS. You can do this as a consumer through many flat-fee listing services. For example, Houseo has packages starting at $99 to list your home on the MLS so that your listing can get more traffic. The entire reason you likely want to list for sale by owner is to reduce commission fees, but unrepresented buyers are rare and if an agent brings a buyer, you have to think about who will pay that agent. While typically the selling agent splits their commission with the buying agent, when there is no selling agent, a buying agent will still expect to be paid for their work. Plan what you will do about buying agent commissions ahead of time. While a normal commission rate is 4 percent to 6 percent, if you were listing with a selling agent, you may consider offering to pay a 2.5 percent buying agent commission if one can bring the client to help you close a sale. Examining how to list a house on Zillow involves a number of steps that can be tricky to navigate without solid planning. By creating a Zillow account and being prepared in advance with all the variables you will be asked to provide, such as an accurate listing price, photos, and relevant information, you’ll be able to list your home to compete with many others on the market today. Be sure to get a head start on all the preparations by having your open house signs and brochures created by VistaPrint. For a reasonable price, you can customize all of your materials and impress your visitors with a memorable takeaway.